I did this back in 2011. We caught the snow plane from Mount Cook airport. Mt Cook is New Zealand’s highest peak and the Tasman Glacier runs along the valley below the mountain. Landing on the snow in the plane was a unique experience and the views from the top were incredible. From there we skied through some ice boulders and then down through the valley. The photo’s really don’t do it justice as you really can’t get a feel for the scale of this place. Even in real life it was hard to judge the distances until I saw a speck on the mountain which was a big hut. The first run covered off 8km of terrain and then we caught the helicopter back up to the top and took a different route down the glacier before being picked up and flown back to the airport. The skiing wasn’t particularly challenging. It was deep powder, but only the top third of the glacier was steep, and the rest was a gentle slope which enabled you to take in the stunning scenery around you. Viki Moore, blogger based in Christchurch New Zealand loves to travel and see new things. 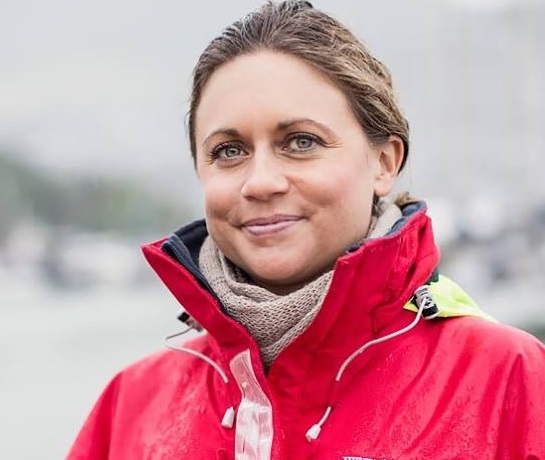 She is currently planning her next adventure – sailing around the world! This entry was posted in Uncategorized and tagged Anzac Sailing Around the World, Blogger, Bucket List, experiences, Guest Post, Mount Cook, Mt Cook, New Zealand, NZ, Travel, travel photography, Turquoise, Turquoise Compass by Turquoise Compass. Bookmark the permalink. Thanks for belonging the post! That looks amazing! What a fabulous ski adventure. Amazing photos . Wow . Thank you! Makes you want to run and play in the snow. Anzac Sailing did a great job on this post. Do you ski? Is it on you bucket list to ski some day? I’ve never been to India, but I’d love to travel there to practice yoga and eat Indian food. Yum! Studying in France would be an incredible experience for you. I hope that it works out for you. I’m sure if you travel to France you will end up exploring much of Europe because the countries are all so very close. Traveling by myself for the first time in Mexico when I was 24 changed me and made a stronger person. I’m sure it will do the same for you. If ever I travel to India, I’d love to travel around with you. What an amazing experience that could be for both of us. Let’s be sure to stay in touch in the event that I ever make it to India in the future. Great! I can’t wait! Stay in touch. Great views! This is one of the places I missed in New Zealand. Anzac sailing makes me want to go back just to ski Mount Cook. Skiing is an amazing winter sport. Where would you like to try it? I’d rather live in a country with no snow and fly to the destination I wish to visit to ski rather than having snow for 5 months out of the year… haha…you gotta love Canada! I think if you felt it every single day like Canadians do in the winter, you’d change your mind. Haha! Couldn’t much comment on it yet. But everyone I knew staying in 4 seasons country doesn’t like winter too! End of this year I will be able to feel what is like living in the winter though. Let me know what you think of it! 🙂 Where will you experience winter? I am glad you loved it as much as I do! Does it make you want to put your snow suit on and ski? Thanks Jessica! So excited to have this on your wonderful blog! I’m glad you are excited as I am. Your post has brought in a lot of comments! My readers are engaged and enthralled by your post! just amazing photos and story – brings much more joy and cheer. You are welcome. New Zealand is an amazing place to explore, but even I didn’t have enough time to see Mount Cook, so I am hoping to get there in the future. Anzac Sailing allowed me to see it through her pictures and words. Thanks so much. 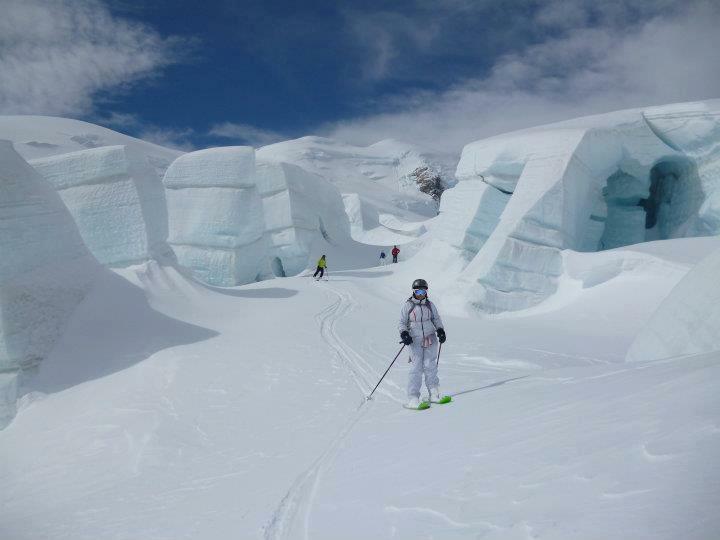 This guest post makes me want to ski every chance I get, especially in NZ. I am heading to Czech Republic soon, but I will be there in summer! Are you based in London? I am heading to London in August!